A new study by UCLA researchers reveals the range of reactions — from rejection to reinterpretation to acceptance — after white nationalists learn that DNA ancestry test results indicate they may not be as white or European as they previously thought. The study, “When Genetics Challenges a Racist’s Identity: Genetic Ancestry Testing among White Nationalists,” is the work of UCLA researchers Aaron Panofsky and Joan Donovan, who presented their findings at the annual meeting of the American Sociological Association held Aug. 14, 2017, in Montreal, Canada. Upon receiving genetic evidence of non-white or non-European ancestry, those posting online “expend considerable energy to repair identities by rejecting or reinterpreting GAT results,” said the researchers, who studied discussion threads on the topic posted on the white nationalist online forum Stormfront. In their qualitative study, Panofsky and Donovan looked at more than 3,000 posts in 70 discussion threads on topics related to “test reveals.” These included posts by individuals who revealed results of non-white/non-European ancestry on Stormfront, a website that requires members to be white or European with non-Jewish ancestry. Responses also included the comments on those test results. Panofsky points out that based on white nationalists’ responses to genetic information, upon learning their test results, there is no reason to believe that they would give up their racial ideology, and, more importantly, that genetic information cannot be relied on to change the views of white nationalists. In addition, Panofsky said that, as a group, white nationalists appear to have a combination of sophisticated and unsophisticated methods of interpreting the data from statistical and genetic viewpoints, as well as on their own historical reasoning or reinterpretation. “In this framework, the repair strategy is not to reject scientific or historical knowledge, but to educate oneself to understand the construction of GAT results and to explain those results in alternate terms,” the researchers conclude. In parsing responses to GAT results posted on Stormfront, Panofsky and Donovan created a “decision tree” consisting of “good news” responses, or confirmation of white identity, or “bad news,” revealing results of non-white or non-European ancestry. “Good news” served a confirming purpose and was well-received, but “bad news” elicited responses of rejection of the GAT. The alternatives to the rejected responses included championing of traditional methods, citing family history or using a “mirror test,” whereby individuals evaluated their outward appearance as a gauge of racial identity. The researchers also found that some who reject unfavorable GAT results interpret them as the product of companies with an anti-white bias, or Jewish ownership “invested in sowing racial doubt and confusion among whites.” They also attribute a small percentage of non-white or non-European markers as being “part of a multicultural conspiracy,” according to the study. The findings also indicate that white nationalists are using GAT results to rethink “the boundaries of whiteness.” Panofsky and Donovan point out that a great deal of discussion on Stormfront focuses on “what are the genetic markers of legitimate whiteness or European-ness,” and how to think about white nationalism in the era of GAT. “They are doing so based not on wild misinterpretations or anti-scientific conceptualizations, but rather by processing through a racist cognition the materials that geneticists and genetic ancestry companies churn into the public,” Panofsky said. Aaron Panofsky, a professor of public policy with an appointment at the Institute for Society and Genetics, recently published his book “Misbehaving Science: Controversy and the Development of Behavior Genetics.” The book analyzes the causes and consequences of controversies surrounding behavioral genetics, often leading to debates about race and inequality. In a recent interview with UCLA Luksin, Panofsky discusses his findings and how science and policy come to be at odds with one another, tracing behavior genetics to its origins and analyzing five major controversies in the field. Panofsky will discuss the book in an April 30 webcast. Your book, “Misbehaving Science,” looks at the field of behavioral genetics as a way of showing how scientific consensus — or the lack thereof — and cross-disciplinary relationships can influence the progress of knowledge. What made behavioral genetics the right topic for this kind of study? At some level, controversy is inherent to science, that’s what distinguishes it from other forms of culture. Scientists propose findings, explanations, and theories, and others try to tear these down. Historians and sociologists have focused on occasions when this process fails to go smoothly. For example, perhaps what’s at stake is not a fact but what counts as a fact, what a method is capable of demonstrating, what evidence is meaningful, or who is even a legitimate participant in a scientific debate. On such occasions…there is a breakdown in the mutual trust and common standards necessary for Popper’s machine to keep running smoothly. So sociologists and historians have been interested in the social processes that get the scientific machine running again. 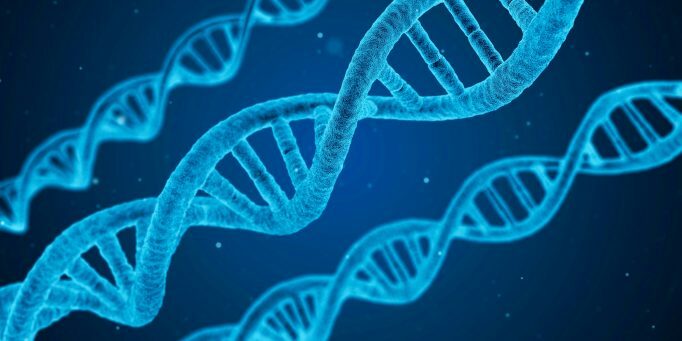 Behavior genetics—the field devoted to studying genetic influences on intelligence, personality, mental illnesses, criminal behavior, etc.—is interesting from this perspective because it has remained controversial since its founding as a field fifty years ago. The field’s researchers have managed to have productive careers despite there being across this entire period fundamental disagreements across science about the validity of the scientific tools behavior geneticists use and the inferences they make. Behavior genetics is thus an anomaly from the tradition above—controversies must either be resolved or science will grind to a halt. In behavior genetics the scientific machine keeps turning though controversy persists, and my book tries to explain why. Why is behavioral genetics such a controversial field of study? The effort to link behavior to biology has always been controversial because it is political. If social status is linked to biology, perhaps inequality is natural rather than caused by exploitative relationships. These ideas are associated with eugenics and scientific racism. Perhaps social problems can be addressed through genetic testing and differential treatment, or perhaps there’s very little to be done and investments in school and social welfare are just wasted money. Behavior genetics was founded in the 1960s (with) the hope that (it) could be studied separate from politics, racism, and eugenics. But in 1969, educational psychologist launched a national debate… to argue that programs to decrease racial inequality like Project Head Start were doomed to fail because genetically determined differences in intelligence. That controversy…turned a once-cooperative multidisciplinary space into an archipelago of mutually distrusting groups of scientists with opposed scientific purposes. Many people have suggested that behavior genetics has inherently controversial ideas. But other fields…neuroscience, for example, have much more successfully resisted politicization. I argue that behavior genetics’ problem is due to this unfortunate history, which (fragmented the scientific community and) led to ambiguous intellectual and scientific norms. Have recent technologies such as genetic sequencing and computer modeling reduced the chaos or further fanned the flames? Behavior genetics…have long been based on studies using twins and adoptees to separate effects of “nature and nurture” without ever measuring DNA. Molecular technologies were supposed to correlate DNA directly to behavior, but…there have been no discoveries of genes for normal range behaviors accepted widely by scientists. Instead (these molecular methods) have gained importance and have been used to warrant increased investments in costly molecular research. At the same time, facing the highly reductionist approach of molecular geneticists, behavior geneticists have moderated their approach and spoken more of environmental effects on behavior. This new focus has made their research more acceptable to a wider population of social scientists—but fundamental disputes about the field’s methods (haven’t) been resolved. What lessons can this episode teach us about other areas where policy and science intersect? Behavior genetics is a high public profile…but its direct policy impact has been limited thus far. As far as I’m aware, there are no implemented behavior genetics informed educational or child welfare policies. I think this is a good thing because the idea that genes limit what societies might do to reduce inequality or improve education is at best too controversial to act upon responsibly. But I worry that behavior genetics may culturally influence the ways people think about policy objectives in less than salutary ways. There’s evidence that behavior genetics findings could make people more fatalistic about the effectiveness of interventions and diminish their support whether or not the intervention might actually be effective. Behavior genetics has also helped promote the idea that interventions might affect individuals in different ways. Some have argued that this suggests giving individuals more choices could be more effective than necessarily investing more in problem areas. This too could lead to a kind of policy fatalism. The direct and indirect impacts of behavior genetics ideas on policy are another area I hope to think about more in the future. How can policy makers and the public help the scientific community avoid these pitfalls and advance knowledge? One of my basic arguments is that…whether scientists in a specialty take seriously the mutual scientific competition with each other and the cultivation of social ties, boundaries, policing, etc. affects the style and quality of research and commitments to group responsibility. I worry that trends in the management of science…may be pushing scientific fields in the wrong direction. Interdisciplinary science may promote innovation through novel combinations of expertise, but it may also undermine the kinds of disciplinary structures that help build robust fields in the long run. The rush to promote interdisciplinarity may lead fields to experience problems like behavior genetics has faced over the long term. What perspectives have your colleagues in science shared with you about this research? Not many yet! I look forward to their feedback as more people get to read the book. 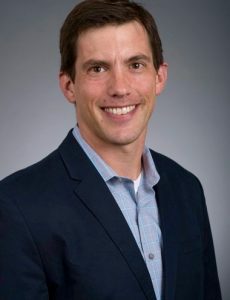 Aaron Panofsky, associate professor of Public Policy, has been named the UCLA Center for American Politics and Public Policy’s Kenneth L. Sokoloff Fellow for the 2014-2015 academic year. The CAPPP Faculty Research Fellows program is meant to help support ladder faculty initiate, conduct or complete research on U.S. political and policy processes and institutions. Each year, one of the faculty researchers receives the Sokoloff named fellowship in honor of UCLA economic history scholar Kenneth Sokoloff. This year that honor went to Professor Panofsky. Panofsky’s project proposal is for “Value Added Modeling” which is an emerging technique for evaluating the quality of teachers in terms of which ones do better and worse jobs of improving student test scores. There was a highly competitive set of applications for the research fellows program this year. Panofsky’s project stood out for its excellence, CAPPP Director Joel D. Aberbach said. The fellowship award comes with a grant, which will allow Panofsky to hire a graduate research assistant. This assistant, Zachary Griffen (PhD candidate in sociology) will be designated the Marvin Hoffenberg Research Fellow.